Marine ecosystem and biodiversity observations are crucial to comprehend the impacts of human and natural pressures on marine ecosystems. 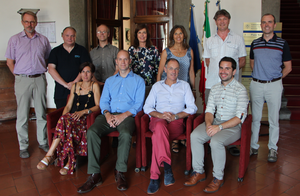 The EMB foresight activity on Biological Ocean Observation highlighted gaps and priorities for enhancing the current biological ocean observing capacity as a component of the wider European Ocean Observing System (EOOS) that is fit-for-purpose in the context of user needs and societal benefits. The marine scientific and operational oceanographic communities currently utilize a wide array of biological ocean observation infrastructures, tools and techniques. These range from marine stations and taxonomic analyses to autonomous sensors, hydrophones, animal platforms, state-of-the-art laboratory facilities and omics technologies. As our understanding of marine biodiversity, ecosystem functioning, and the goods and services they provide progress, marine ecosystem and biodiversity observations are increasingly considered crucial for understanding ecosystem change and the impacts of human and natural pressures on marine ecosystems. 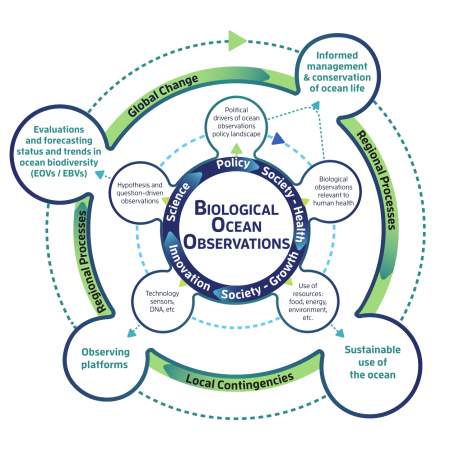 Our foresight activity calls for a strategic vision on biological ocean observations to increase the relevant biological ocean observation capacity, and bring together key stakeholders, to provide the long-term support for an integrated ocean observing system that contributes to the European Ocean Observing System (EOOS) and harmonized with the Global Ocean Observing System (GOOS). Contact at European Marine Board Secretariat: Ángel Muñiz Piniella Email.